Welcome to the February Mug Rug swap, the theme this month is Valentine’s Day. Think of hearts, flowers, chocolates and candy hearts. These dates are firm please abide by them. A Mug Rug is an item that you use to place a cup of coffee/tea or a soda on, along with a small snack plate/napkin beside it. It’s approximately 9” X 8” or larger so both items will fit. Please do not make it smaller than that since that is small as it is. If you want to participate in the swap you need to send your name, address, and phone number to me Armylady2012 by Midnight 31 January 2019. You must PM me when you mail and receive your Mug Rug so I can keep my records straight. Please provide tracking number if there is one. You will be assigned a partner and it’s your responsibility to make contact to exchange addresses and any other info that may help you and your partner with the Mug Rug. 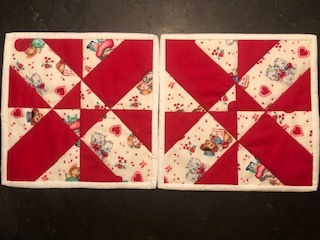 You must use 100% quilting cotton fabric, use a good batting in between to protect furniture from damage due to heat/cold, use a binding method you are comfortable with or practice and learn a new binding technique, you must quilt the Mug Rug. Please be kind about what you receive, if you have any issues, please work them out with your partner first before contacting me, communication is key. This board is for all of us to make friends and have fun. 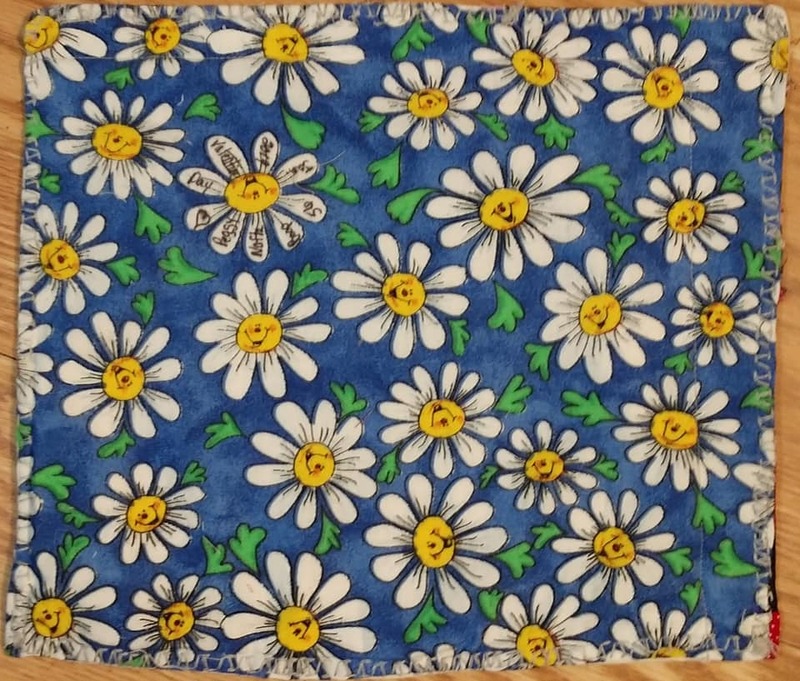 You are free to include little gifts with your Mug Rug, handmade or store bought, it’s up to you but you are only obligated to send a Mug Rug. Any questions, please contact me immediately and I will get you started, please take photos before mailing just in case your partner is unable to take one for posting on the thread. Please abide by the board rules. You are required to send items that you sign up for or risk not having the ability to swap in other swaps. Again anything about your partner or the item you received that doesn’t please You is not to be posted on the thread but sent in a PM to me or to your partner to sort out. Its polite and the right thing to do. Hope to see you all join in on the fun. I am in again. Ready to mail as soon as I get my name. Need to mail mine by the 5th. Surgery on the 6th. So ready to get it over with. I'd like to be included. Just made one to show my CDA court. Had to get it done early I'm having sinus surgery 1/24 so perhaps I can breath once again! I'm in Armylady, sewing today so I can mail right away and my partner will have it for Valentine's Day. Sending info.. I want to join again, please sign me in. We have a good start so far, Welcome to the new ladies, this is an awesome group of ladies and I am sure you all will have fun. Wow! I have my mug rug done and ready to mail soon as names are posted! Now who will be the lucky one? I would like to join in this month again. Good Morning ladies, here is the partner list. Make sure to let me know through Pm when you mail and receive so I can keep my records updated. Make sure to mail by the mail by date if possible try to mail so that your partner will have their Mug Rug by Valentines Day. Boop56, sent you my info, can't wait to see the other side. QueenBarbie and I have connected. Thanks..
Momof5kids and I have connected. We are both ready to mail to enjoy for Valentine’s Day! I mailed today! dharen7, I PM'd you my information. I am really going to try to mail it out on saturday. I messaged my partner on first but no response. Hope shes feeling better since her surgery. 978gray and I have made contact. Received my rug (well 2 actually) using this morning with my coffee. Thank you JABA!!! Mine has been sent out.